Beautifully flavored fresh salmon fillet, slightly sweet with a hint of tang. This salmon would be perfect grilled or broiled. Place fish in a glass-baking dish. Sprinkle pepper over the salmon fillet. In a small bowl combine lemon juice, brown sugar, soy sauce and water. 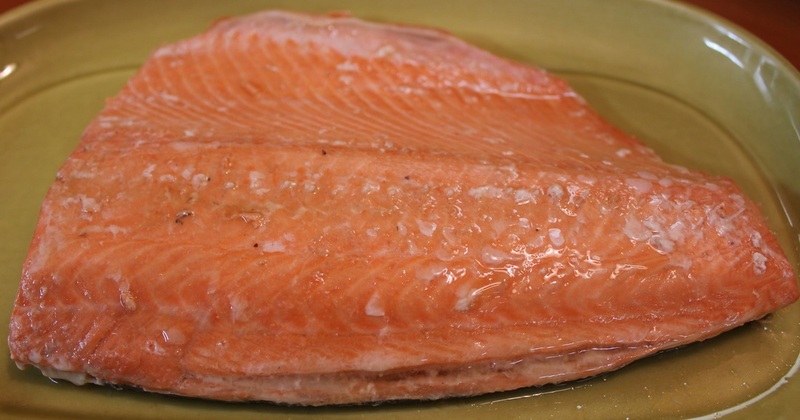 Pour marinade over salmon, turn salmon over so skin side is up, cover dish and marinate for 1-2 hours. Cover and bake salmon skin side down in a pre-heated 400-degree oven for about 20 minutes. Salmon flesh should flake easily with a fork.